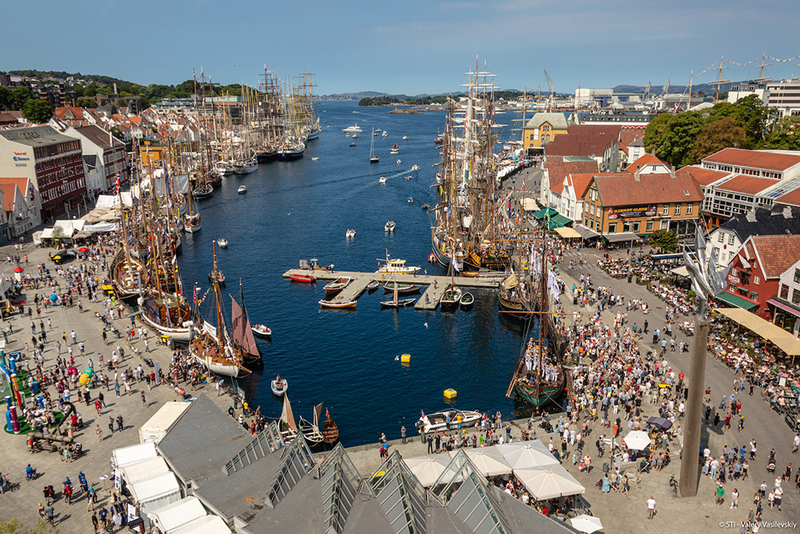 Aerial view of Stavanger and the Tall Ships at the Tall Ships Races 2018. 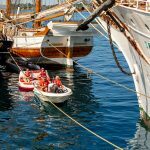 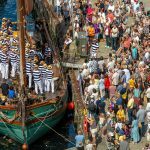 Huge crowds came to visit the Tall Ships in Stavanger. 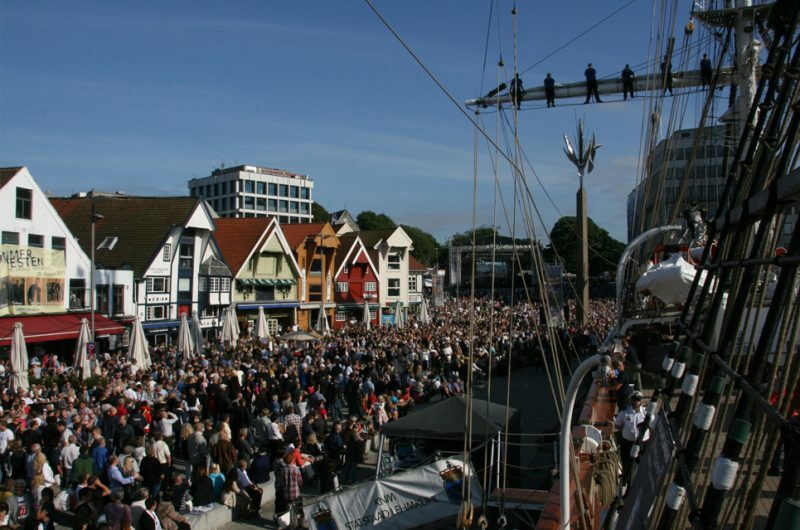 Crowds enjoying the Tall Ships Races 2011 in Stavanger. 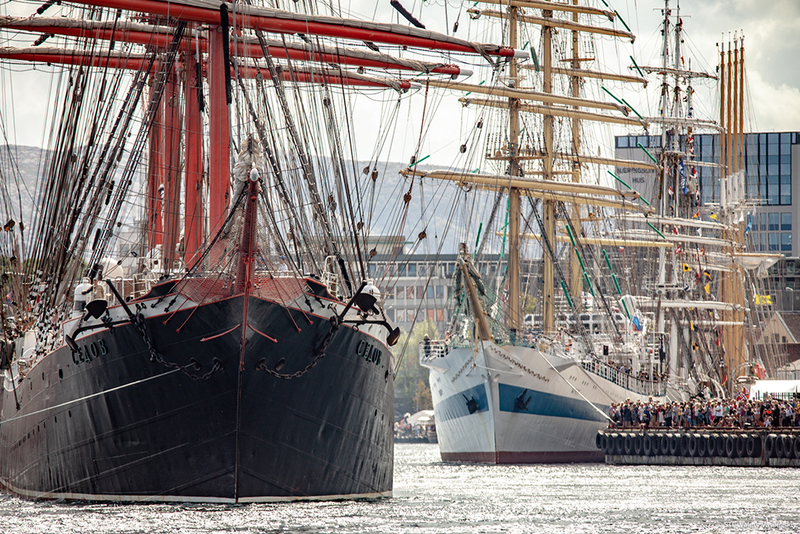 Tall Ships in port at Stavanger. 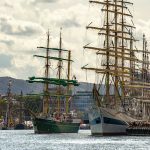 Tall Ships alongside in Stavanger. 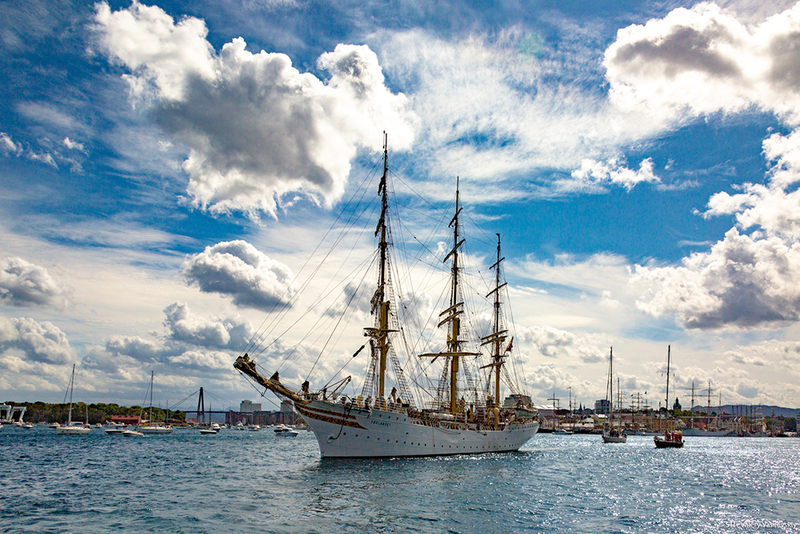 Sorlandet (Norway) sailing into Stavanger. 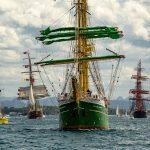 Huge crowds visit Mir and watch Alexander Von Humboldt II sail into Stavanger. 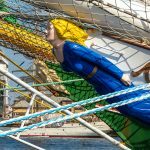 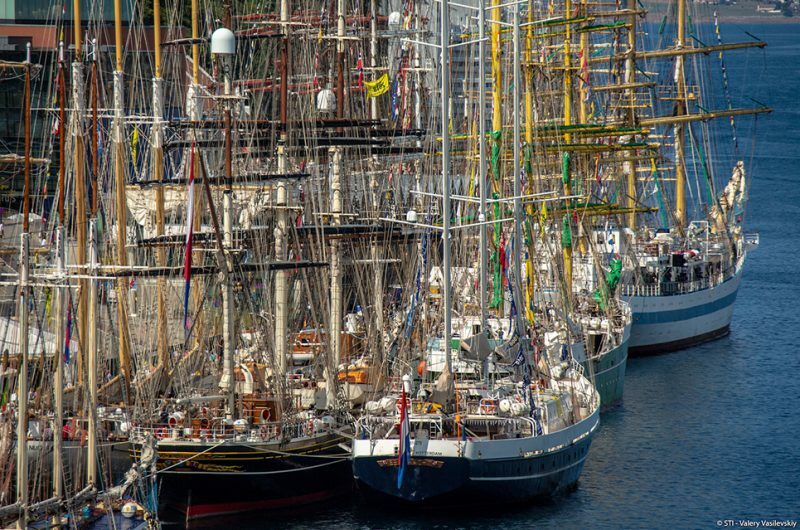 Everyone loves the Tall Ships Races! 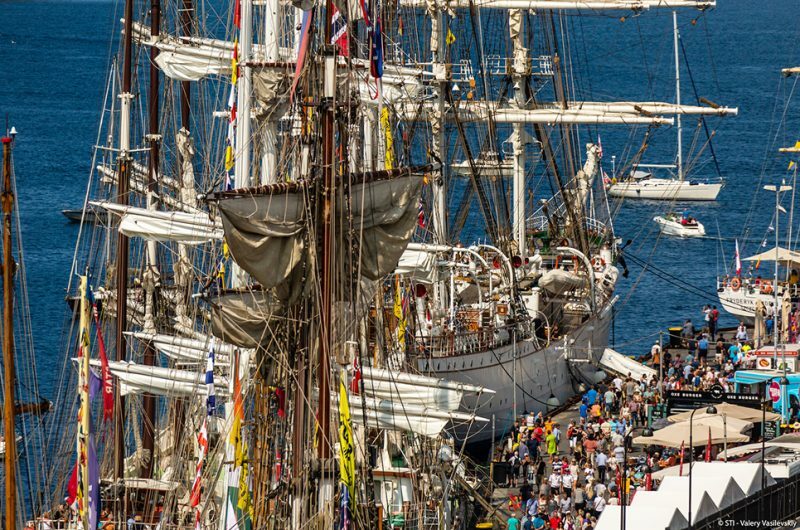 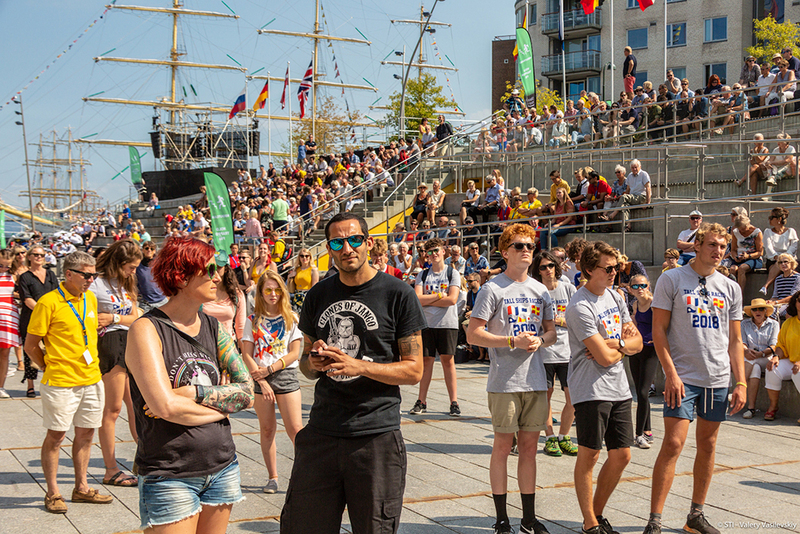 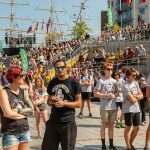 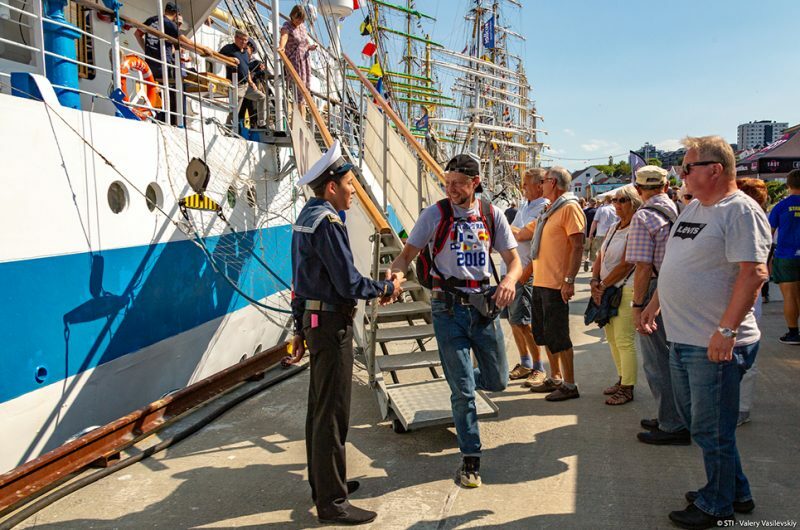 Crowds visiting Mir in Stavanger at the Tall Ships Races 2018. 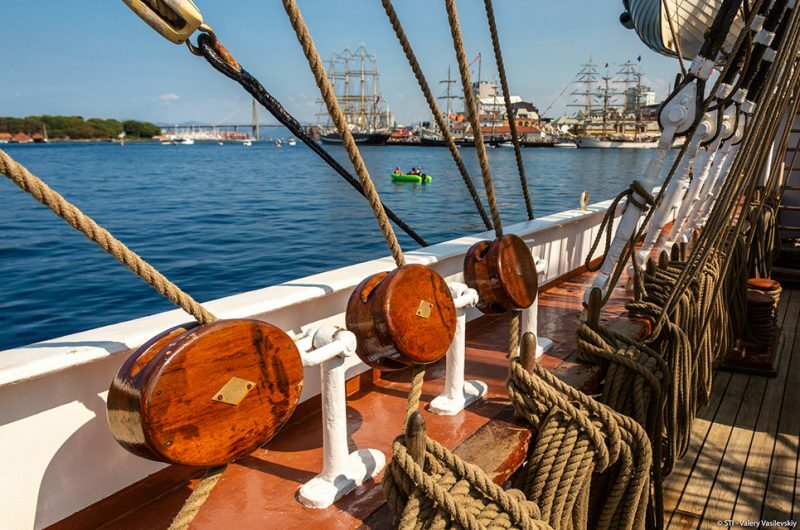 Tall Ships through the rigging. A forest of masts in Stavanger. Crowds at a concert in the port of Stavanger. The Tall Ships fleet sailing into Stavanger. 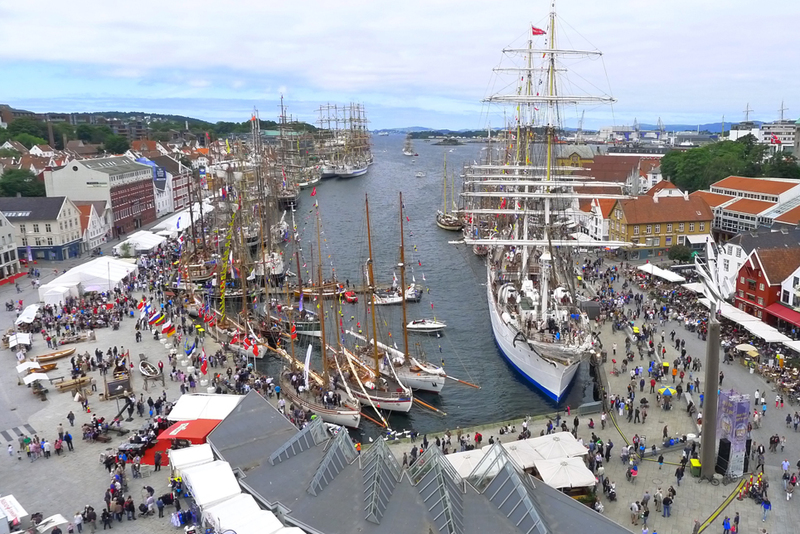 Crowds visiting the Tall Ships in Stavanger. 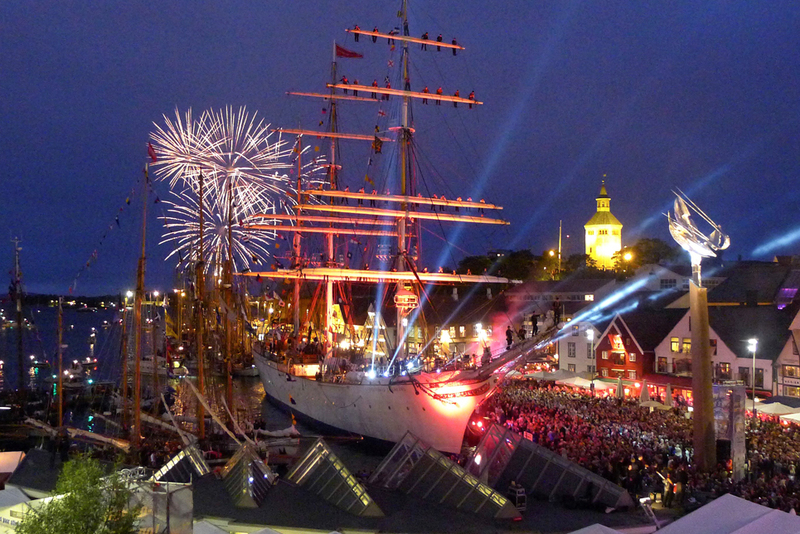 Sedov (Russia) sails into Stavanger. 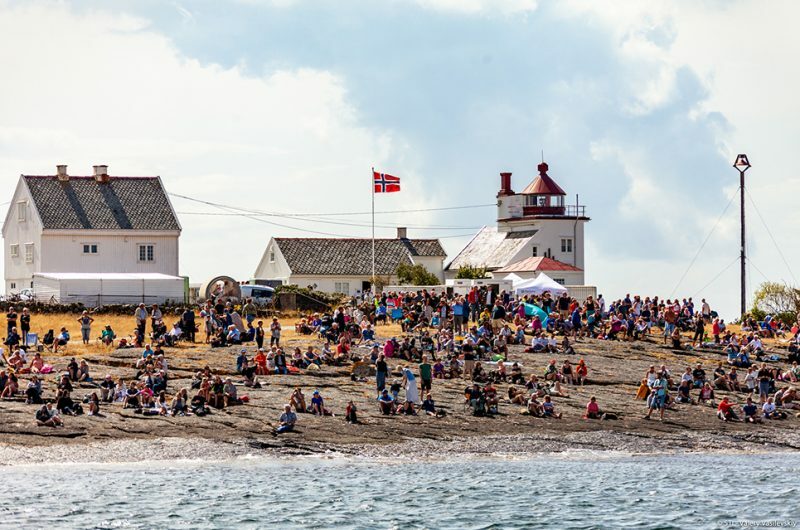 Crowds gathered on the banks to watch the Parade of Sail in Stavanger. 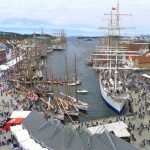 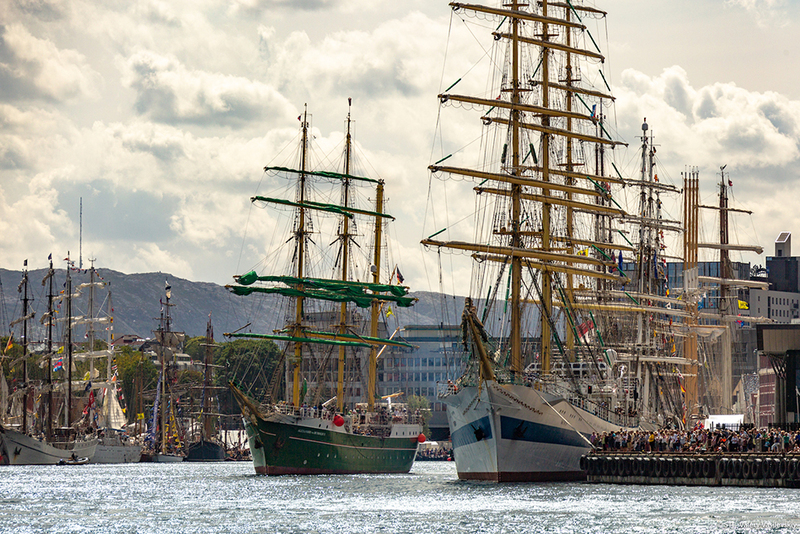 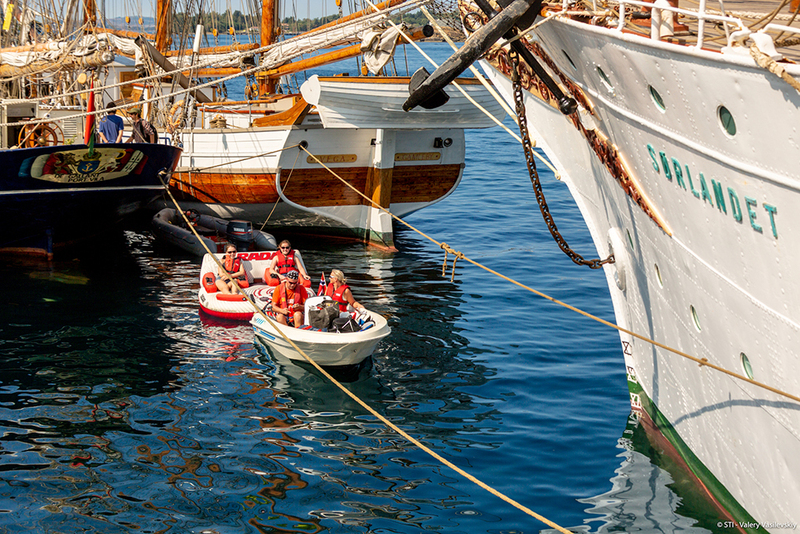 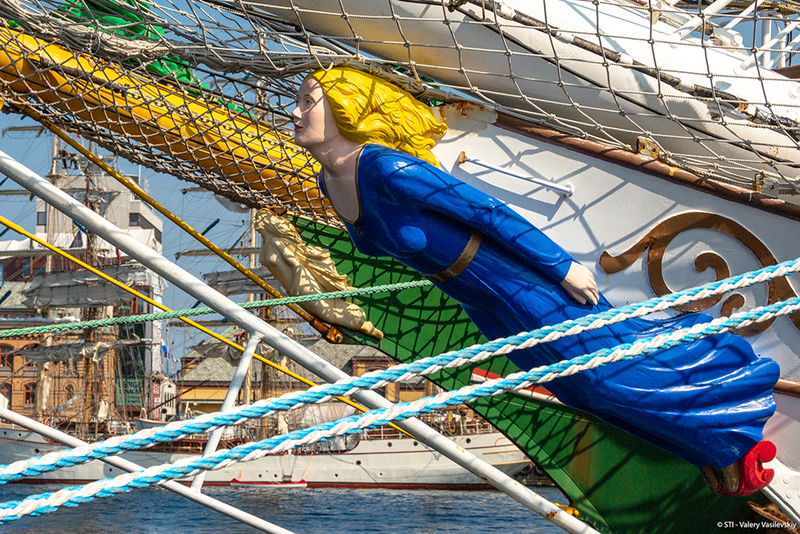 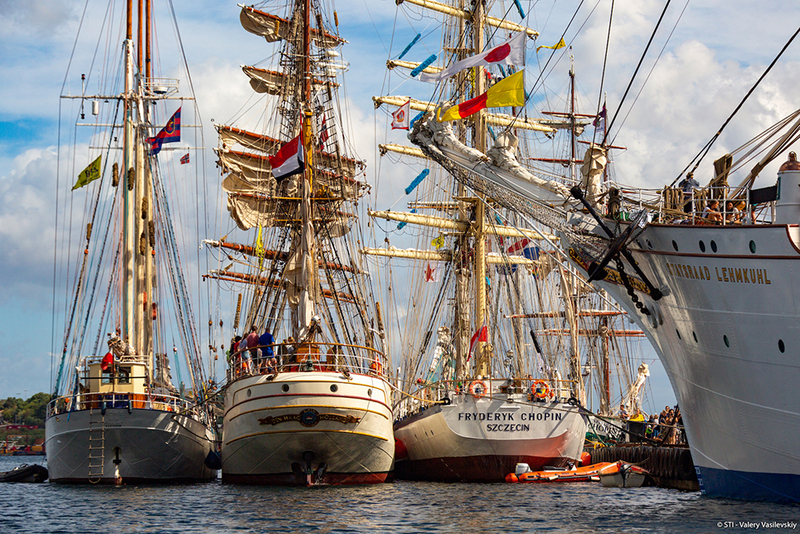 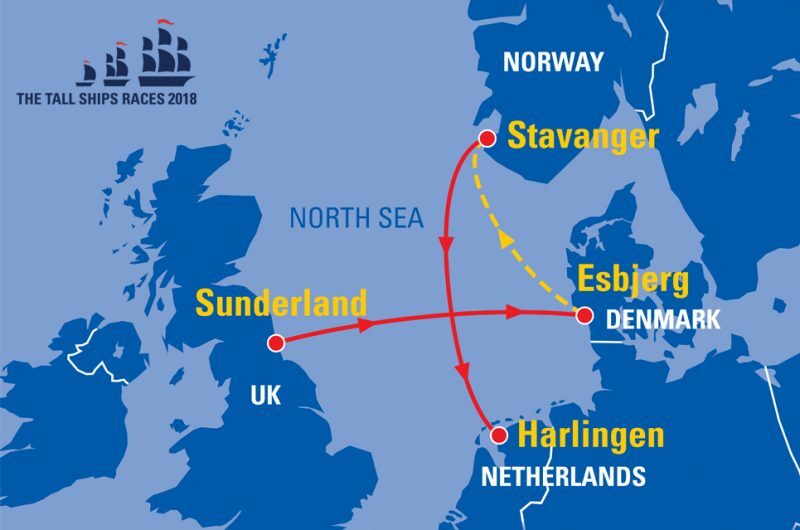 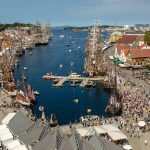 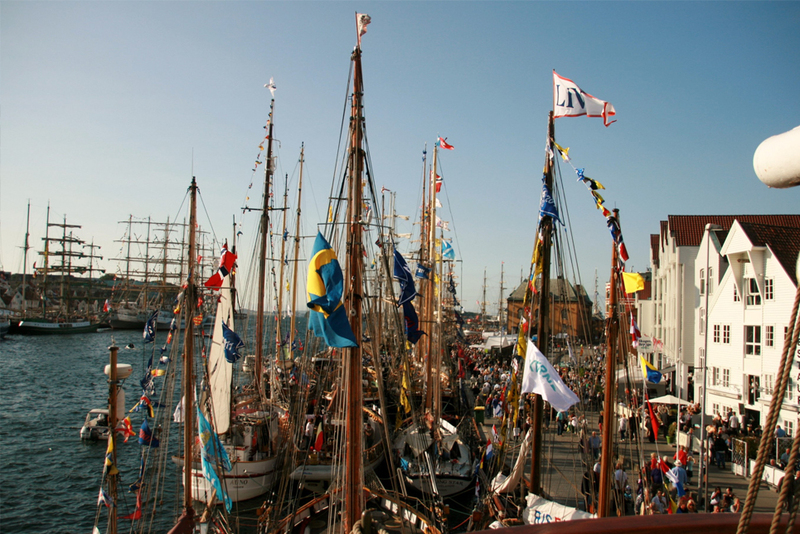 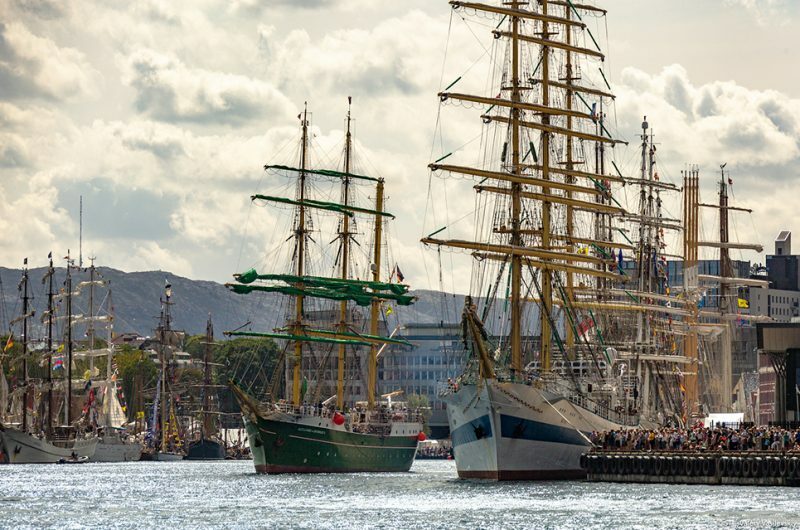 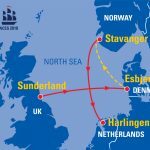 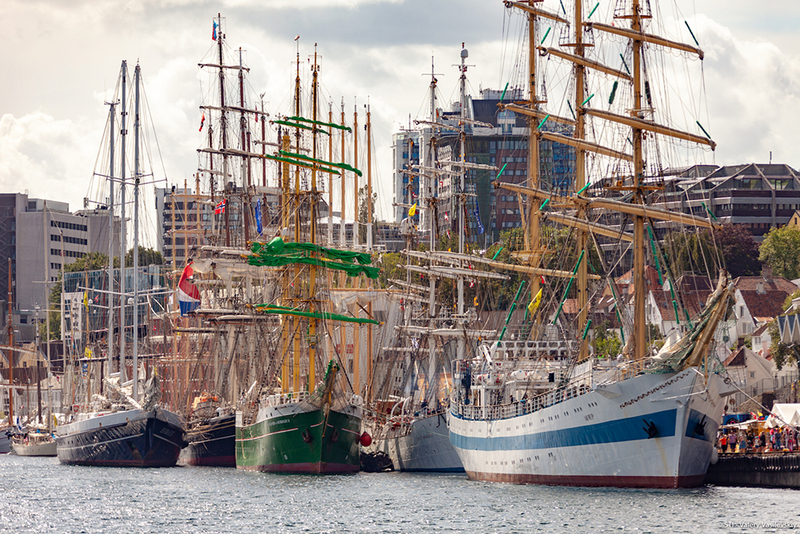 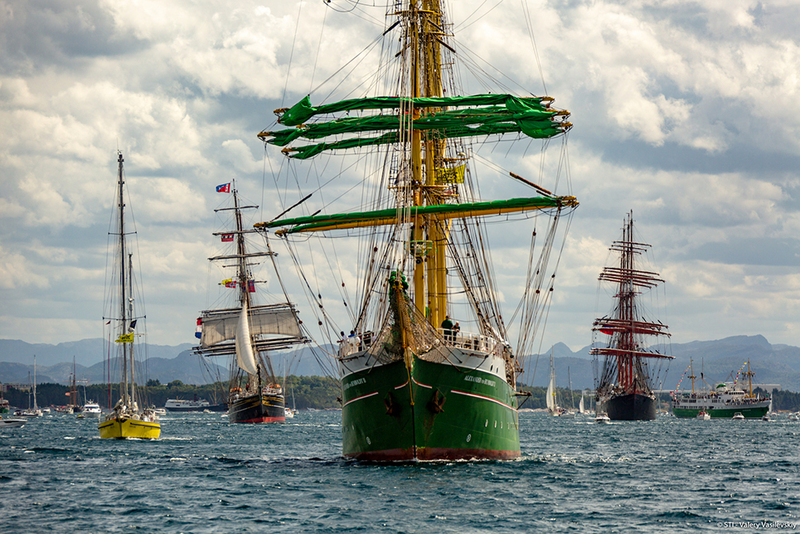 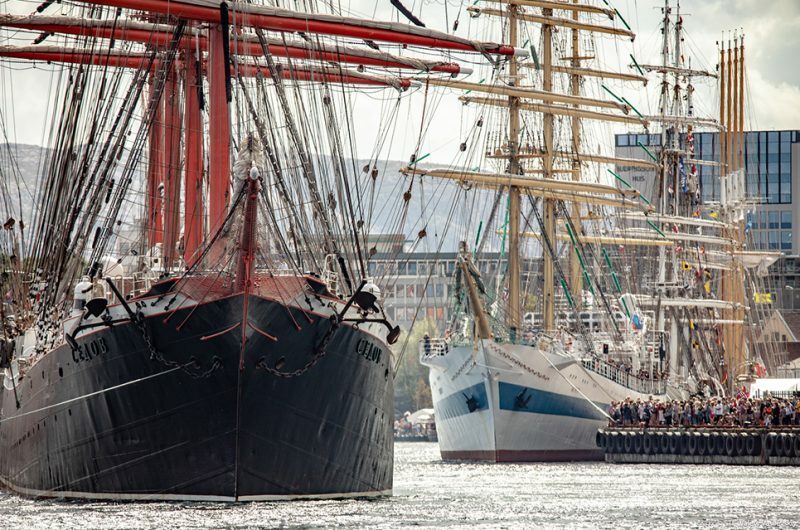 Stavanger was proud to host the international fleet in 1997, 2004 and 2011 – the Tall Ships Races 2018 was the city’s fourth time hosting the event. 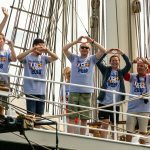 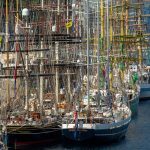 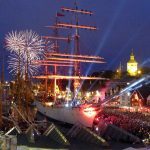 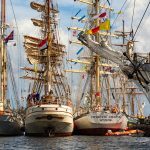 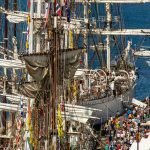 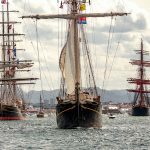 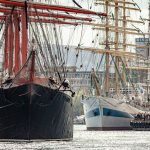 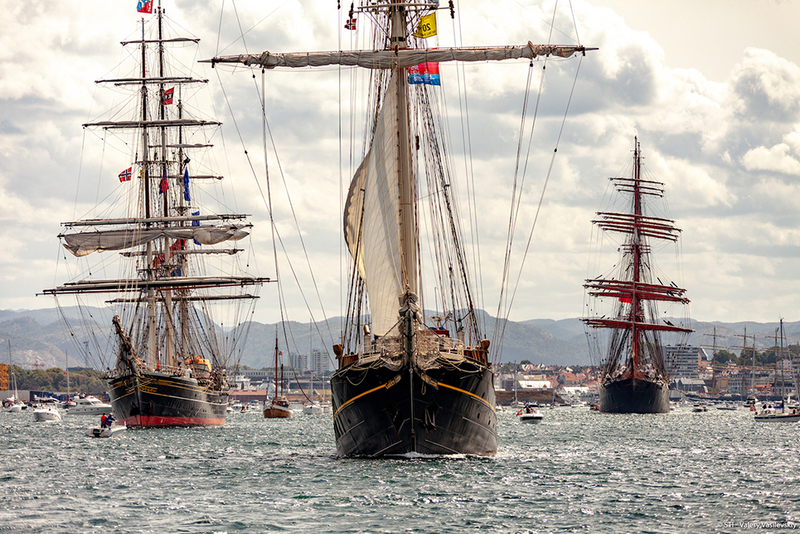 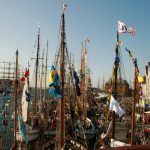 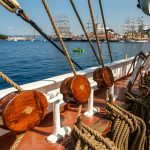 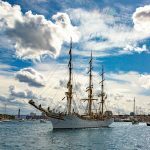 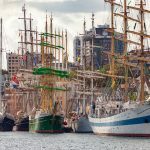 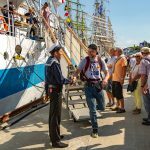 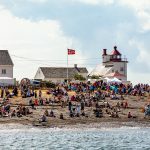 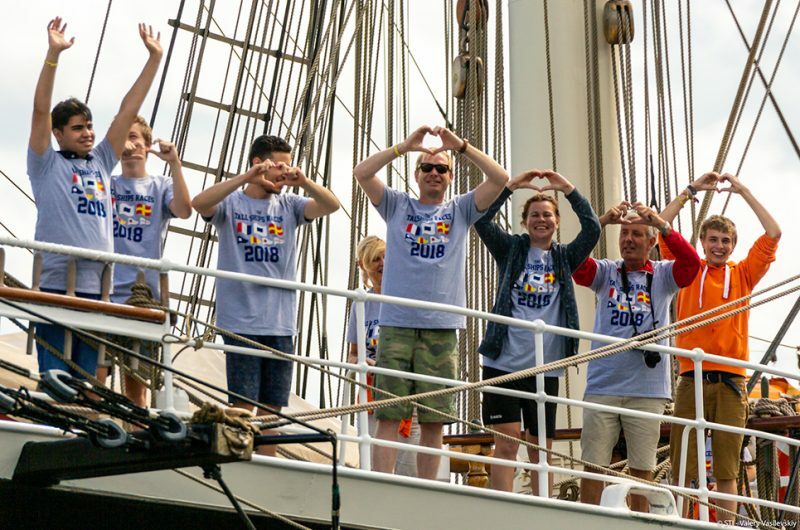 The city couldn’t wait to welcome the event back to its waters, and was “better rigged than ever” to host the Tall Ships Races fleet and crews. Stavanger is located on the south-western coast of Norway. 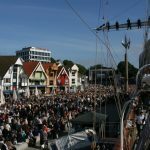 It’s known as the “energetic city,” because of its natural coastal location and open and progressive attitude. The city boasts an enviable combination of small-town charm and metropolitan liveliness, so expect a generous welcome and an exciting experience. 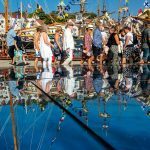 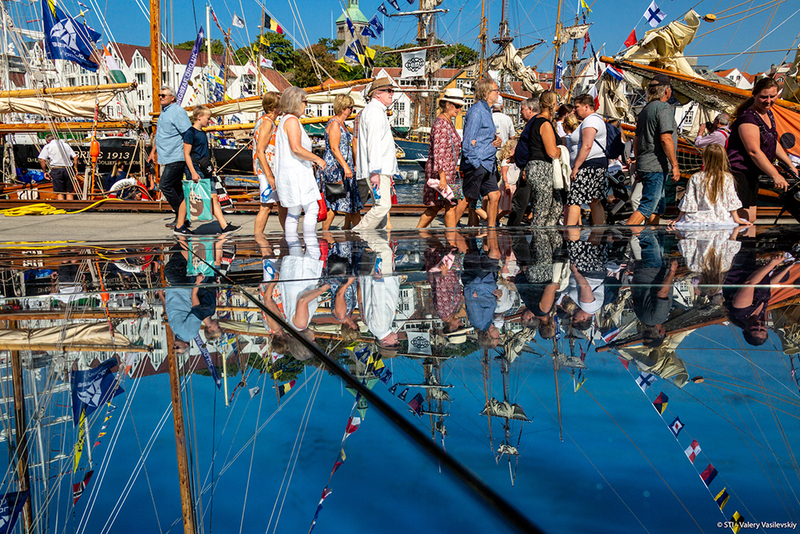 Stavanger’s waterfront comes alive throughout the summer, which means visitors have plenty of sights to see and events to enjoy. 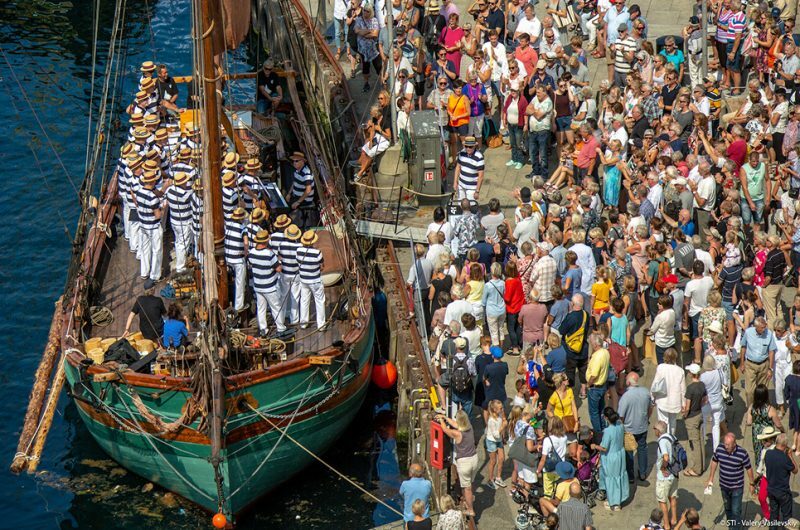 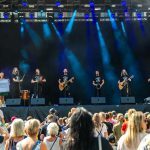 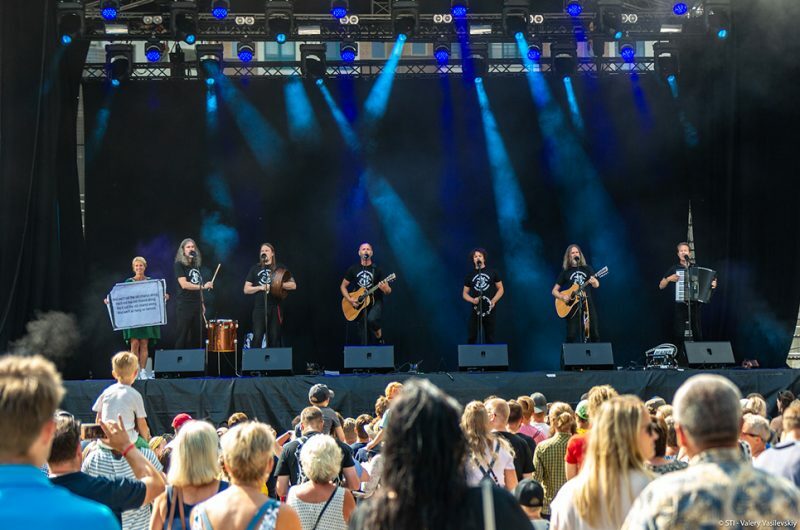 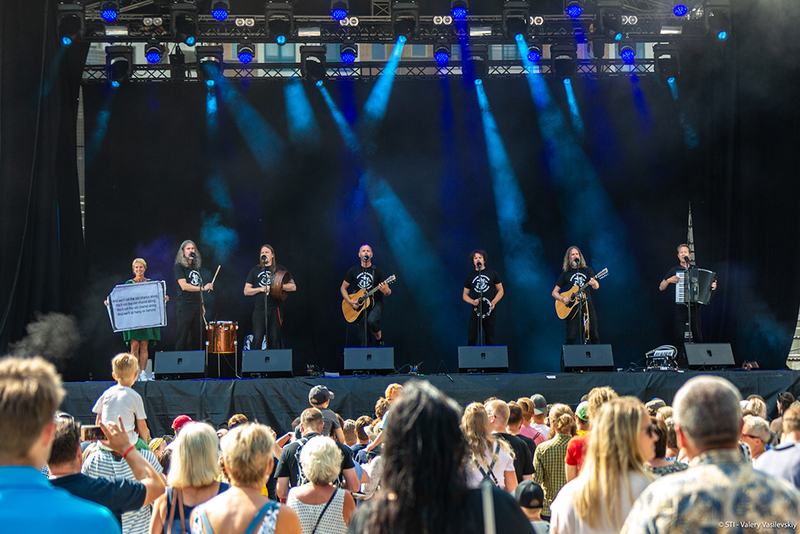 During the event there were a number of cultural attractions, from museums and historic architecture, through to contemporary music and film events further inland for visitors and crews to enjoy.